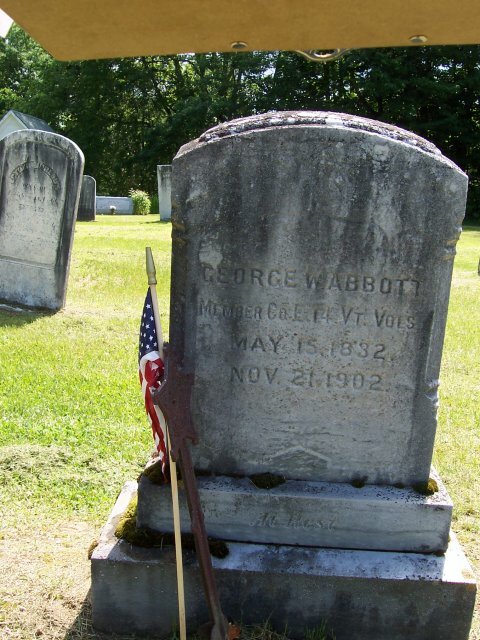 East Middlebury---George W. Abbot, who died on Friday morning, was buried from his home on Sunday afternoon, Rev. W. T. Forsythe conducted the services, and a delegation of about 50 members of the Masonic order attended the funeral. Deceased is survived by a widow. The interment was in the family lot in Prospect cemetery.